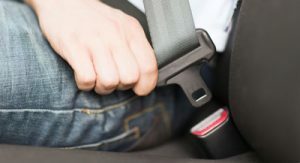 He chides politicians, policy-makers, and law enforcement for failing to crack down on motorists and their passengers for the range of contributing factors in the nation’s road toll. Simply put, we’re driving too much while distracted, drunk, drugged, and drowsy. We need not only to buckle up but also to cut down on our boozing and driving, too, because it’s becoming a major road menace. Meantime, moms and dads may want to toss their youngsters in the car or truck and roll, stat, to the doctor’s office, a drug store minute clinic or any other spot offering flu shots. This is developing into a bad season for this common infection, which is hitting the old and the young hard. The head of the federal Centers for Disease Control and Prevention urged parents to get their youngsters inoculated when the nationwide toll of pediatric deaths from flu recently rose to 30 — with 85 percent of those fatalities occurring in kids who had not received the annual flu shot. The fatalities now have grown to 37 youngsters, the CDC says, adding this is the worst flu season in a decade or more. The agency says children younger than 5 are especially vulnerable to flu, which in the years since 2004 has killed between 37 and 171 kids annually and hospitalized between 7,000 and 26,000 youngsters each year. The flu shot is far from perfect and it carries risks. But those are far outweighed by the benefits, particularly the collective ones, that can result when more, rather than fewer Americans get vaccinated. It is not too late to get the shot — the season’s peaking now but it will run for a bit still. There are other small, simple precautions to take against flu, including covering up while sneezing and coughing and hand washing. Don’t take flu lightly — it has killed between 12,000 and 56,000 Americans annually since 2010, and a 1918 global pandemic was blamed for between 20 million and 40 million deaths, more casualties than incurred in the World War I. Speaking of killers, there’s yet another simple precaution to take against smoking, one of leading disease causers of the last century: Just don’t start this unhealthy, addictive habit. And medical and scientific experts have taken some new knocks at Big Tobacco’s newest, fancy ways to get young folks hooked with so-called e-cigarettes and vaping. The blue-ribbon group said studies show that the devices may be safer than regular cigarettes, with lower exposure levels for their users of tar and other deadly substances generated when tobacco is burned. The devices and vaping may help adults reduce their smoking to their benefit. But the scientists also slapped back at Big Tobacco’s latest clap-trap — underscoring that the devices and vaping, contrary to industry claims to the contrary, still expose users to harmful nicotine and other unknown chemical perils due to liquids they use. They also do act as a gateway for teens and young adults to take up cigarette smoking, which decades of research has shown to be a cause of several different types of cancer, as well as other heart and lung diseases. One in 5 American deaths are linked to smoking. The new scientific findings — combined with excellent, consistent push back from groups like the Campaign for Tobacco-Free Kids — just prompted a top FDA advisory panel, separately, to reject a request by Philip Morris International “to market a smokeless tobacco stick in the United States as safer than traditional cigarettes,” the New York Times reported. 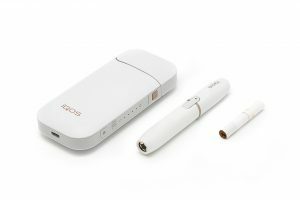 The product, called IQOS, is an electronic pen-like device that heats tobacco sticks but does not burn them. It releases nicotine vapor, which the company says is less hazardous than smoke. It is already sold in 30 countries and is especially popular in Japan. Philip Morris has sought a “modified risk” designation for IQOS, hoping to be deemed a safer smoking alternative under a new FDA plan to slash smoking by decreasing nicotine levels in traditional cigarettes and allowing market options. Big Tobacco sees big money in winning an FDA blessing for its latest products, on which it has dropped major development sums. The company touts IQOS, arguing it heats tobacco only — it does not rely on mystery liquids. Search around the Internet and the device appears to sell for $20 to $25, with the tobacco sticks that get burned it going for $20 or so for packages of 10. No, I’m not providing hyperlinks to make it any easier to find this unhealthy stuff, folks. But this is a product we’ll need to watch out for, and to see that young folks don’t adopt. In my practice, I see not only the harms that patients suffer while seeking medical services but also how auto, truck, and motorcycle wrecks can wreak havoc on their lives — and how their good health can be savaged by smoking and its myriad harms. Those among my kind regular readers may find the preventive measures discussed in this post a bit familiar. Maybe we need to share them, almost like adages, with the slower to enlighten: You know, an ounce of prevention is worth a pound of cure. Or maybe, repetition is the mother of learning?